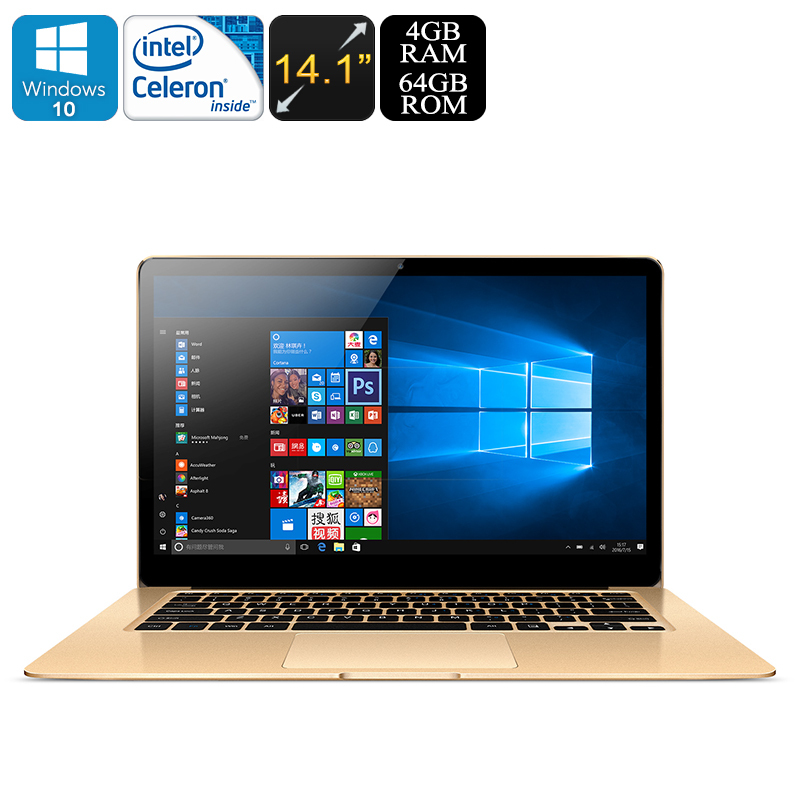 Successfully Added Windows Laptop Onda Xiaoma 41 - Intel Apollo Lake CPU, 2.2GHz, 14.1 Inch IPS Display, 1080p, 4GB DDR3L RAM, HDMI Out, Bluetooth to your Shopping Cart. The Onda Xiaoma 41 Notebook is a Windows laptop that brings along great on-the-go efficiency for business and entertainment purposes alike. Running on the Windows 10 Operating System, this laptop PC comes packed with the latest Microsoft Office programs as well as other features that let you take the absolute most out of it. On its large 14.1 Inch display, it portraits all your media and files in stunning Full-HD 1080p resolution. The latest IPS technology further enhances your visual experience by bringing forth crisp details and vivid colors – truly enhancing your overall user experience when using this beautiful Windows 10 laptop. This Windows laptop features an extremely sleek design, allowing you to carry it along anywhere you go. Despite its thin body, this laptop packs some high-end hardware that lets you enjoy demanding programs and media without slowing down your device. The latest Intel Apollo Lake CPU brings forth an extremely powerful performance. Capable of reaching clock speeds up to 2.2Ghz, this Quad-Core CPU has been built to tackle the most demanding of games and Windows features without dropping a frame. Additionally, it comes with 4GB DDR3L RAM, further enhancing the performance delivered by this powerful laptop while simultaneously making it perfect for multitasking. Packing an epic 5000mAh battery, this Windows 10 laptop brings along a full days’ worth of energy. Whether you’d like to watch a movie from beginning to end, enjoy a game-filled afternoon, or simply browse the web and write up some files – this latest laptop PC is there to meet all your demands. It additionally features Bluetooth 4.0 connectivity, letting you sync it with all your Bluetooth-enabled devices such as your smartphone or tablet. Its HDMI output further expands your overall options by letting you connect it to your big screen TV or PC monitor – allowing you to enjoy all the laptop’s features to its absolute most. Dual-Band WiFi lets you browse the web, stream movies, and download files at lightning speeds. With 64GB of internal memory and 256GB external memory support, this Windows laptop holds oceans of space for you to install all your favorite programs. No matter the type of laptop user you are, the Onda Xiaoma 41 is here to meet your toughest of demands. This Windows 10 Laptop comes with a 12 months warranty, brought to you by the leader in electronic devices as well as wholesale electronic gadgets..
Windows OS is pre-installed Chinese and English, and other languages need to be downloaded by WiFi. Product change 24 April 2017, 2 x RAM slots changed to 1 x RAM slot.